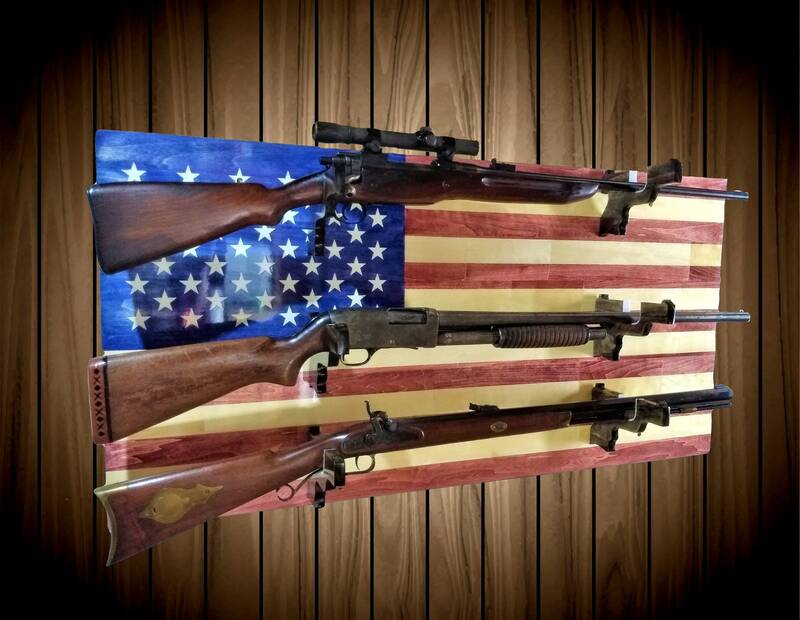 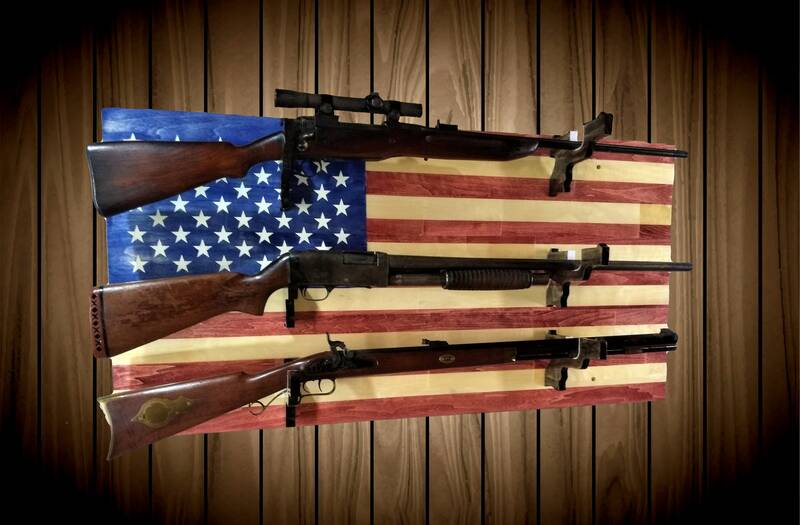 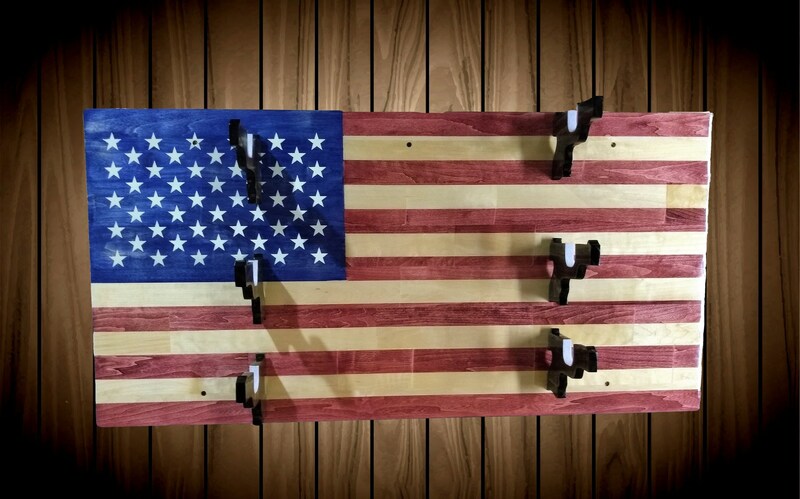 Beautiful Aspen, 3 Place American Flag Gun Rack. 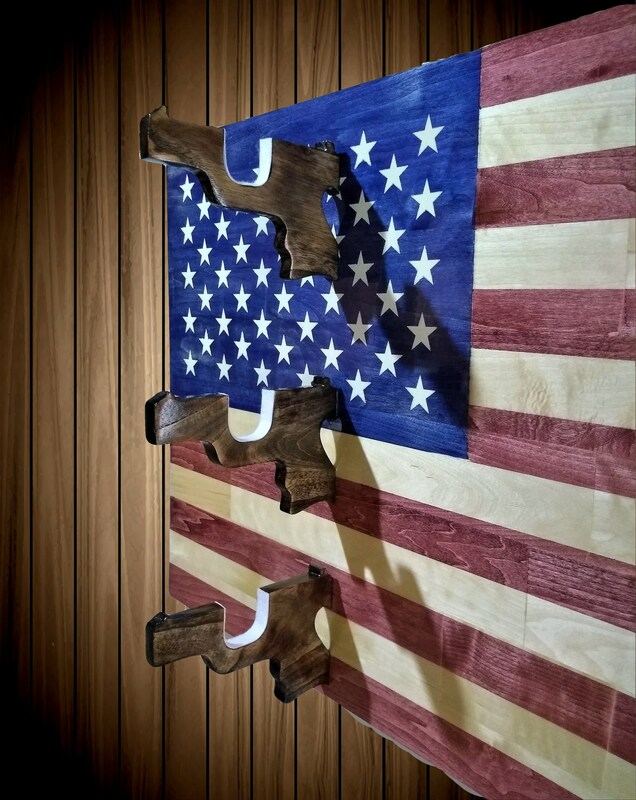 Unique Hand Cut Wood Pistol Gun Holders. 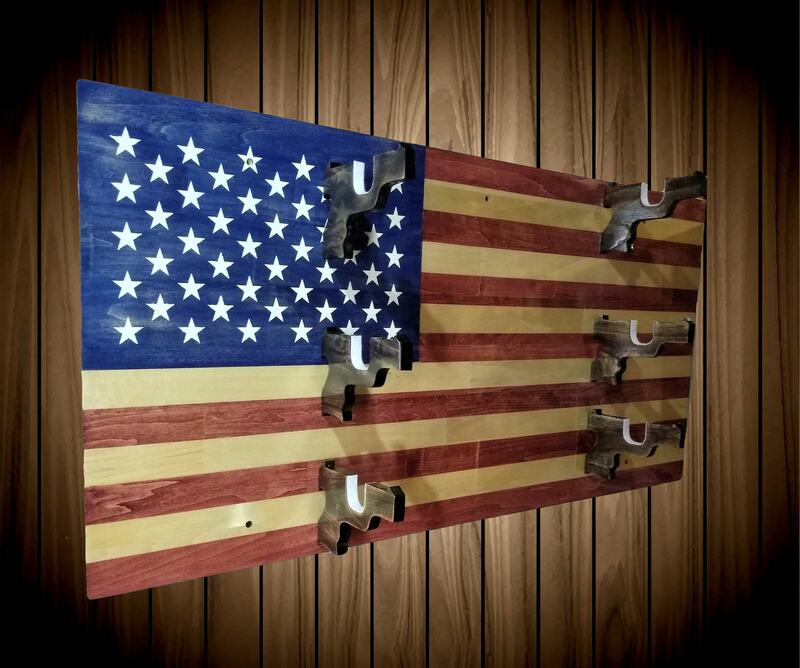 Super High Gloss Finish, Three Coats of Polyurethane and Hand Rubbed Wax. 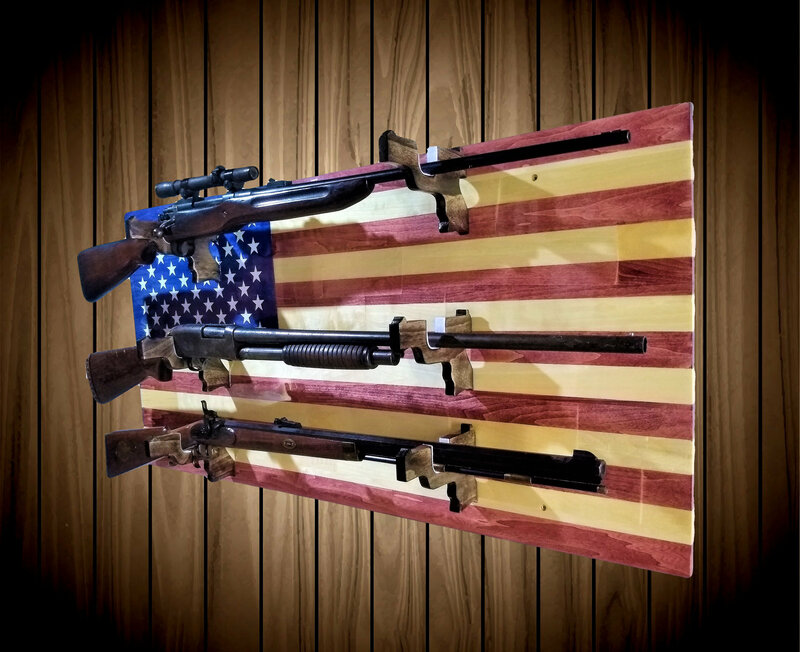 Thickness of Aspen Body: 3/4"
Thickness of Gun Holders: 5/8"